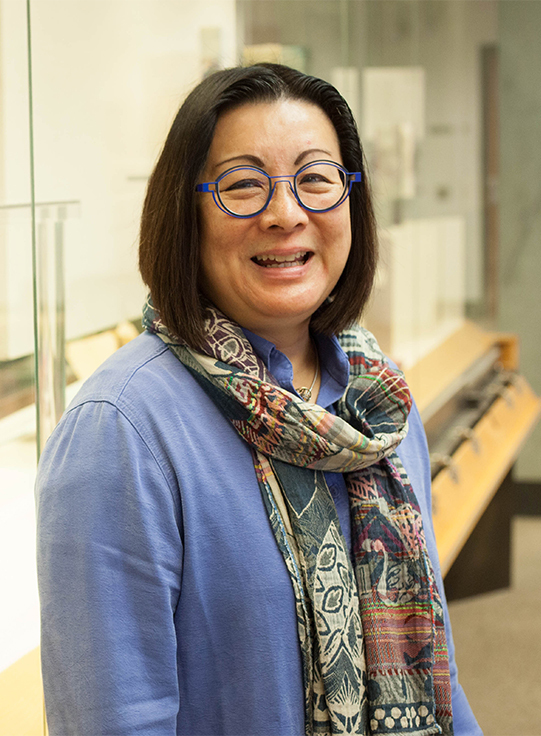 For three years straight, Julie Chen, book artist extraordinaire, was obsessed with wheels. Intrigued by the concept of turning one’s way through a book, Chen would dream up new projects and, without fail, fantasize about their potential as some great rotating affair. “I’m a big proponent of: Use structure but only when you need it,” Chen explained. The idea being that, if you can find the right structure for the right idea — revealing itself over time — you create not only an experience, but a world. 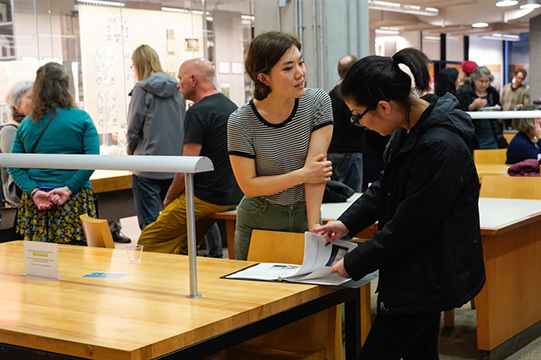 Now, Chen has taken that idea to the center stage of the Environmental Design Library, curating a new exhibit, called The Book as Place: Visions of the Built Environment. The show, up through May 17, features works from 25 book artists, hailing from across the country. Chen solicited her network of artists to curate the exhibit, including former students of hers at Mills College. The materials, themes, and structures of the artists’ books run the gamut, each exploring the questions: How does a book represent a place, and how do you create that space within its binding? “The artists’ book form is a built environment in miniature, conceptualized using the same basic principles as in architecture: How will a person navigate the space — in this case, the space of a book — and, most importantly, what kind of experience will the reader have?” Chen said at the opening reception for the exhibit on Saturday, which drew in a large group of artists, along with friends and family. 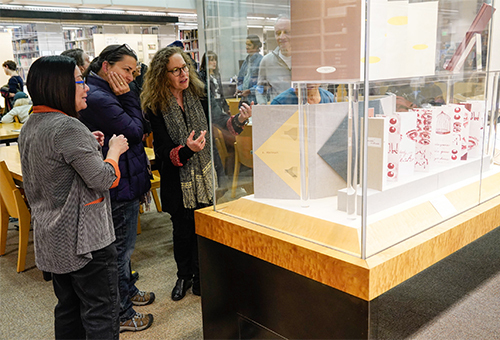 For David Eifler, environmental design librarian, that’s why the exhibit is perfect for the library, frequented by aspiring civil engineers and artists alike. 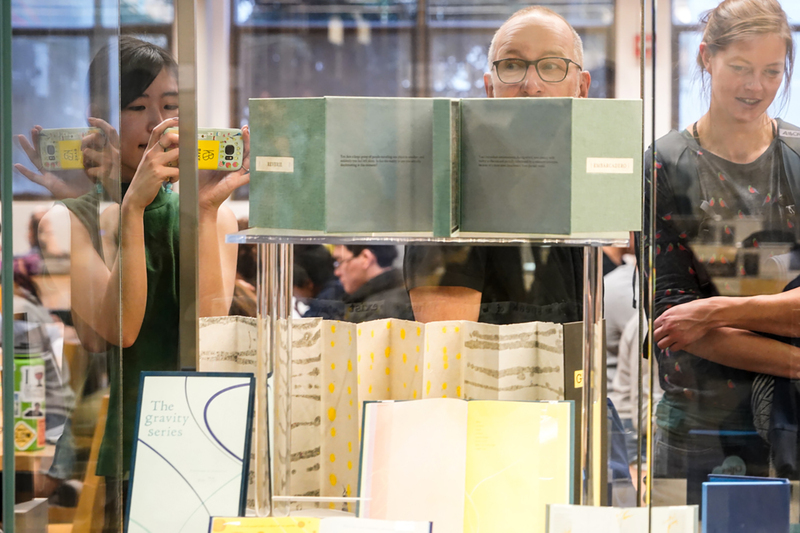 Top to bottom: Clockwise from left: Berkeley-based book artist Julie Chen curated the exhibit; at right, event attendees saw works by 25 artists. In the exhibit, several common themes emerged. Many of the works examined the threshold between man-made environments and the natural world, and how they bleed into each other. Landscapes of the Late Anthropocene, by Philip Zimmermann, gives a dark — and perhaps even probable — portrayal of the world after sea levels have risen by hundreds of feet. Keri Miki-Lani Schroeder, a former student of Chen’s, created Influxstructure: A Topography of Ghosts, which overlays patterns both man-made and natural, including the Nazca Lines in Peru, the network of synapses in our body, highway systems, and an atomic bomb testing range. Chen’s own piece, Wayfinding, explores how the natural environment transforms into a man-made version, and vise versa. Chen, who spent three years conceiving and building the art piece, created an alphabet of human body positions, and translated those shapes into rocky structures made of meticulously crafted, rough paper. Other pieces concentrated on how books act as a physical vessel for the undefined, serving as a portal between the real and imaginary. 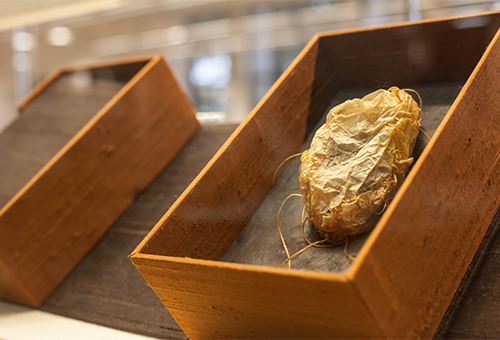 Heather Peters, also one of Chen’s former students, created the piece The Shape of Longing Recalled, which uses hand-dyed paper to reflect on the ephemerality and randomness of memory. Each page in the book is stained differently — a factor of the materials Peters used and how the chemicals happened to react from one day to another. That process, Peters said, emulates how little control we have over our memories and their “haphazard development.” The concept of a book, she said, represents the space in which the human experience converges, in our universal desire to hold on to memories. Top to bottom: Left to right: Chen, far left, talks about her piece Wayfinding at The Book As Place exhibit. The red-and-white piece is Inside/Outside by Kathleen O’Connell; at far right, Dwellings by Rhiannon Alpers is also on display. Robbin Ami Silverberg, an artist from Brooklyn, was also inspired by memory and memory loss, and created a representation of her “mind palace” — the imaginary structure in our brains in which we can, according to ancient Greek thinkers, place items to locate and recall them more easily. The piece is called Memory Walk. 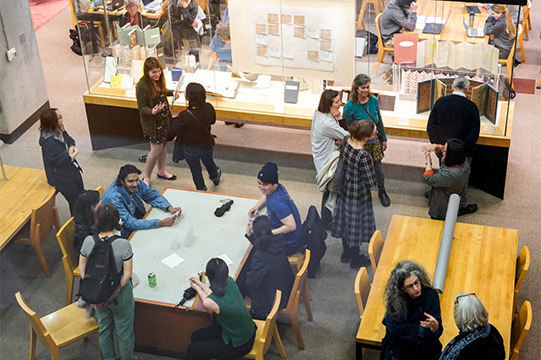 At the reception, Eifler announced that the Environmental Design Library and The Bancroft Library would together purchase one of the books from each artist in the exhibit. David Faulds, curator of rare books and literary manuscripts for Bancroft, was struck by the wide diversity of materials and interpretations of what a book can be, and is excited to add the books to Bancroft’s vast repertoire of materials. Dig deeper . . .
New to UC Berkeley? Here’s a crash course on the Library.